Seller reports that for a boat of this age it's in good shape, there is always going to be some sort of maintenance required on a boat of this age. Aside from the water in the oil issue, he is not aware of anything else that will need to be repaired or replaced. All information concerning the engine make/model/hp was provided by the Seller. Stock #132890 Lobster boat powered with a Crusader engine ready to go! 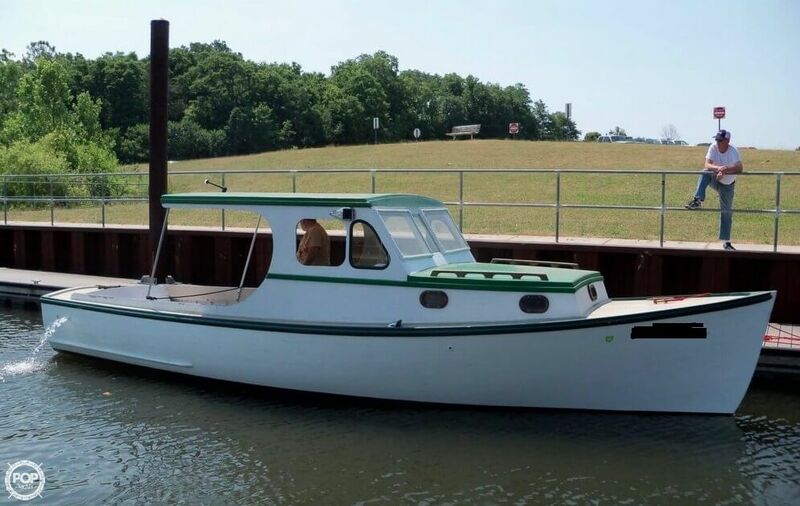 If you are in the market for a lobster boat, look no further than this 1946 Hodgdon 27, just reduced to $12,500 (offers encouraged). This boat is located in North Lewisburg, Ohio and is in decent condition. She is also equipped with a Crusader engine.